GAZA, State of Palestine, March 15, 2018 (ENS) – In Gaza, the territory between Egypt and Israel, power blackouts often last up to 16 hours a day. But help is on the way in the form of a US$12 million rooftop solar power array for the area’s biggest business park, the Gaza Industrial Estate. Gaza’s sole power plant is hampered by fuel shortages, outdated transmission lines, and damage from three wars in the last decade. 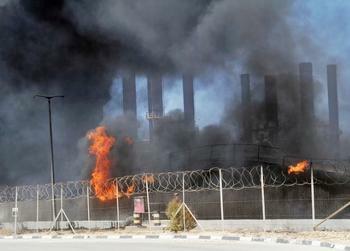 With a population of nearly two million, Gaza needs about 570 megawatts of power to function. Right now, it has less than one-quarter of that. The energy shortages have shrunk Gaza’s economy and undermined its manufacturing sector by 60 percent compared to the late 1990s. Participants in the funding include World Bank Group members the International Finance Corporation; the largest development bank in the world, the International Bank for Reconstruction and Development, owned by 189 member countries; and the Multilateral Investment Guarantee Agency, MIGA. MIGA provides essential guarantees for investors in this conflict-riddled region – guarantees against breach of contract by governments, expropriation, war and civil disturbance. The governments of Canada, Sweden, the UK, Japan and the Palestinian Authority are all participating in some aspect of the project. The solar panels will form the largest solar array in the West Bank and Gaza and produce 10 gigawatt hours of cheap, green electricity each year. 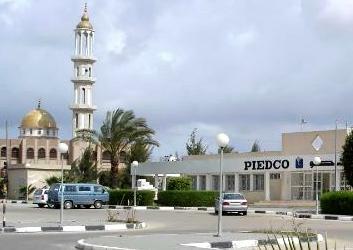 Located on the northeastern edge of the Gaza Strip at Al-Muntar, the Gaza Industrial Estate is on a 48-hectare site leased, developed, and managed by the Palestine Industrial Estate Development and Management Company, PIEDCO, a majority-owned subsidiary of the public Palestine Development and Investment Company, PADICO. The investment will help PRICO, part of the PADICO Holding, construct, operate, and maintain the seven-megawatt rooftop solar photovoltaic power plant in Gaza. When the new solar array comes online in 2019, it will power all 32 businesses in the Gaza Industrial Estate at a price 10 percent cheaper and up to 50 percent below the cost of diesel-based generation. The reliable stream of electricity is expected to help manufacturers increase production, which could create 800 new jobs. Currently, 70 percent of electricity and 100 percent of primary energy used in Gaza is imported. Financing for the solar array is part of a larger effort by the International Finance Corporation, IFC, to create a market for renewable energy in the Middle East and North Africa. “We are committed to working in the most challenging and difficult areas in our region,” said Wiebke Schloemer, IFC’s Regional Industry Head of Infrastructure in Europe, the Middle East, and North Africa.